I hear so many of you complaining of cost-how much is your health worth? Hi Everyone, I have been on Medifast for a week now and I lost 7 lbs! Crusty Chicken I rolled the new Medifast chese pizza bites in the bag before I opened it. They have things like Honey Mustard Pretzels and Crunch Bars that are very easy to carry with you and eat at your desk. He asked if I really wanted to loose weight. I wonder if you could add a little fat free Thousand Island to the salsa? Choosing the right weight-loss system can be confusing and often times frustrating. Let us know a little more about you and your goals. Medifast side effects reported by customers include upset stomach, nausea, headache and irregular bowel movement. Medifast ingredients vary, based on the meal plan selected. You can choose from breakfast, lunch, dinner and snacks. Choosing the right product is the 1 question asked by DietSpotlight readers. We recommend trying any product before buying it and know that finding a product with a sample offer is near impossible - so we created our own product, Burn TS, with scientifically backed ingredients. Hello Jane, please consult with your physician in order to respond to your question. I plan to hang in there until the end of March hopefully to see more results. The price is the only thing holding me back, but after talkin to the nutri. This i have done for the last 4 fays and still i have lost 9 lbs. What are the recommended portions given by your nutri. Most people save money while on program,less trips out to the store,not eating out as often. I have been trying Medifast for 2 weeks now and I have lost 7 lbs. I make sure to have my lean and green meal everyday in addition to the medifast meals. You are not going to be hungry at all. The bannana pudding is great and I add a tbsp. You can add acouple of things like that and you will still lose weight. I also make sure that I walk 30 min. I have an awful sweet tooth and it is nice to have some sweet things to eat on this diet. Good luck to all. Medifast is the only way I could have lost 65 lbs. Hello Mary, please refer to the Medifast official website and contact Customer Service for your inquiry. I have been on Medifast for about 10 weeks. I have lost 45 lbs. Eatting six times a day is not hard. They have things like Honey Mustard Pretzels and Crunch Bars that are very easy to carry with you and eat at your desk. It is pricey, but it is working. I use their products mostly-but my goal is life-style change, so occasionly I eat something that is not on the plan. But I use wisdom and discretion. Do these Medifasdt meals contain soy? Hi Jeanna, for the exact ingredients please refer to the Medifast official website. Saw your input and wanted to respond for your info. I was excited at first because of the weight loss but now am getting bored with the food and I do not see the weight dropping off like it did at first. I plan to hang in there a while longer hopefully until the end of March. The 5in1 plan does include food other than the Medifast meals, therefore that part of the above is incorrect. You can have steak, pork, chicken and vegetables, all without the weight spelled out in the plan. Eating many small Medifast meals during the day really is not difficult-you are never hungry. Once your target weight is reached you do have to stick to the maintenance plan as instructed. You cannot go out and consume a full pizza. Like all plans, you must want to lose weight, and have the determination to change your eating habits. Medifast worked for me, I loved the shakes, pudding and soups. I would like to understand why the 10, doctors backing up this program are WORKING for the company , or that the research has been tested by the company which makes any claims misleading. A healthy lifestyle needs action so get your 7 Days of Medifast Free. Would you recommend this store to a friend? Thank you for your feedback! Sorry, we could not count your vote. A healthy lifestyle needs action so get your 7 Days of Medifast Free Click through to get started. I am considering Medi Fast. Some of us are allergic to soy and Medifast doesn't work very well in that case. Also, I never lost much on Medifast like I did with weight watchers. Also the food is expensive and too many chemicals. I prefer real, fresh food. Congratulations on your weight loss and even more congratulations on your feeling great! I went to Weight Watchers in , when I finally got that "Aha! I don't mind spending money, but refuse to spend it on my monthly weigh-ins. Hope things continue to go well with Medifast. I will be interested to find out how you make the transition from packaged food back to "real" food. How about doing the same thing without "meal replacements"? I found your site when I was looking for more veggie ideas for the diet part of the fitness program that I just completed. I don't work for them or anything - just thought it was a really great program! The whole summer thing took me by surprise. It's so important, however you can do it. But then I said that already, didn't I? I met a woman at a cookie swap i December, she'd lost something like 40 pounds with My Fitness Pal, just tracking calories. For her, the tracking made all the difference. I haven't forgotten telling you, back in July, that I was thinking about it I told you before I'd really even told myself, haha. I prefer fresh, real food too. 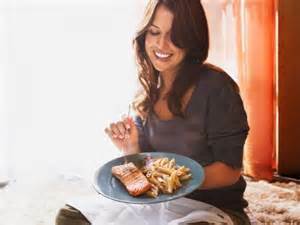 I think of it as my 'reward' - not in the way you get a cookie as a reward but that as long as I can get to a healthy weight and stay there, then my love affair with real food can continue I made the mistake of not continuing to weigh in with WW once I lost the weight more than 10 years ago now. It won't happen again. I'm just trying to not veer off on my own path quite yet. Because I've definitely learned some good things from Medifast, things I'll want to continue. Thanks for the referral too, I'll check into it! I make everything from scratch, so get to make the things I love to eat, but I find as I age I need to eat less to stay in a healthy weight range; consciously moving more helps too. I hope you will find the balance that works for you once you have transitioned back to food. Once you are happy you are in a weight range that suits you, please be kind to yourself and do something immediately to remedy the situation should the scales start upwards or your clothes get tighter, so that you don't have to resort to expensive, processed diet food ever again. Alanna, Good on your for taking charge of your health! I told you it looks like you're aging backwards in that photo-weight loss and daily vigorous exercise sure shine almost as much as your smile. I am not trying to lose weight, only to get on my Reformer in the basement at least 3 times a week, but when a bunch of friends were trying and told me about myfitnesspal I did that. For me, though, cooking new recipes from scratch all the time, it was more of a pain in the bum to type in each recipe than the reward of seeing the calorie count would have been. I have no suggestions for you in that area. So I will say that having some sort of goal a wedding, a half marathon is probably a good motivator. I don't know--still icy on the sidewalks so I'm not going to take the pup out for a 10 mile training walk this morning. Three miles will have to do. I'm so proud of you! Also, I can't go on something that eventually I have to "go off of". I am learning moderation, portion control, all the things I need to work out in "real life. I love to cook, love to try WW recipies, and my family doesn't even know. I am staying right here, and have now kept my weight off for 6 months, even during the holidays. Alanna you look wonderful! My husband and I went on Medifast a few years ago through a nurse at a hospital who guided us. We had to check in with her every week. We lost a lot of weight, felt and looked great. I agree with many of your observations Of course, once we got "off" it we managed to regain much of it. That is not the fault of MF, but our bad habits returning. I am now WW'g with a friend Thanks for your honest sharing. You are indeed a blessing. I actually started low-carb whole food a few weeks ago and have felt really great. I used to do Weight Watchers, and I did it faithfully, but it just didn't work for me. I mean, it's one of the most highly recommended and highly statistically successful programs. I know people who have lost pounds and inches and sizes. But for me, it wasn't right; my weight and size remained stagnant. It took a bit to realize that I didn't have to fit in with all those statistics. Good on you for branching out and finding a different path to health. In the past I had lost quite a bit of weight by basically learning about food portions and making sure I didn't overdo any certain type of food. And I worked out. But once I went off program I gained all that weight back -- and another pounds on top of it. TSFL is a division of Medifast that comes with all sorts of free support and education that makes transitioning back to whole foods safe and easy. It helps you retrain your brain so you don't go back to the unhealthy habits you had before. It's more about creating health for life hence its name than about losing weight as a short-term goal. I started Oct 2 and as of this posting I've lost 55 pounds. I think I safely fall into the category of "results not typical". It's amazing how great I feel -- how much energy I have, how my cravings have gone away, how I've broken my addictions from sugar and carbs, how I'm sleeping better Ive lost weight before, but nothing like this. Nothing this fast or easy. That's worth a lot to me. A few thoughts on some of the objections: I wasn't excited about dehydrated food, either. But do you realize how much processed foods most of us use anyway?? Unless you're making your own breads, pastas, yogurts, growing your own veggies and fruits, etc etc, you are definitely eating a lot of processed foods, even if it's "healthy". At least this food is formulated by doctors to be nutritionally balanced and healthy for you. I heard the price and laughed. But then I sat down and looked at how much I was spending on food: I ate a lot at my work's cafeteria or coffee bar. The portion of our grocery bill that was stuff I wouldn't use while on Medifast was huge. Suddenly the cost looked so much more manageable. Support on this program is free, unlike other weight loss programs so I was saving those fees as well. Plus consider how much you spend on doctor co-pays, medicines, and how much you could spend ultimately in hospital and other medical bills if you don't lose the weight. If you've spent money on failing on other plans in the past, why keep going back? The only way to know if you'll succeed on a different program is to try it. In the case of Medifast, if it's not the program for you, return your uneaten food and get most of your money back. This program does not abandon you once you've reached your goal. It will teach you how to transition back into "real" foods again and then finally teach you how to use those real foods to keep the weight off and be healthy for life. And with TSFL -- the support is free to you for life, even if you're not using the Medifast products anymore. Not a bad deal. Some of it I won't touch again. But a lot of it is really fairly decent and some of it I downright love And then for those foods you're not so crazy about, there are all sorts of creative people out there on the internet who find ways to prepare foods in completely different ways that do make them enjoyable. For example, unlike Alanna, I can't stand the chocolate shakes. But they make a pretty decent cupcake! I never thought that a program that provides most of your food for me would ever work. I LOVE fresh foods -- fruit in particular was hard for me to give up. When you see results like this as quickly as this, suddenly it's not quite the sacrifice. And I know when I reach my goal I get to have those foods again. I love this journey and I love helping others reach their health goals as well. There's no better feeling than this! Good for you for taking control of this, and I say whatever works! Great job so far!! However, once I had a little success with Medifast I was motivated to keep going. Since starting my Medifast journey I have started exercising regularly, my foot pain from plantar fasciitis is all but gone along with all my other aches and pains and I no longer get migraines regularly. I have also started tracking all my food in MyFitnessPal and I will continue to do that after I get back to eating real food to help maintain my weight loss. Yes - Medifast is not a perfect plan and I would much rather be eating fresh food that I prepare myself, however I needed this to help jump start positive changes in my health. I wish you continued success on Medifast and your journey to better health. I like it, thank you. And you're the second person today to mention a half marathon, good for you and Mark! It really is a life-saver for so many. Six months is excellent, stay with it! Good luck with doing WW with your friend, here's to both of you! I so get that. I'm so glad you've found something that is working for you now. We have different ideas on what's processed food and what's not processed food, but I hear you on each of your points. The weight isn't "melting off" me like it does for some on Medifast but still, each day when I get on the scale, each day when I feel bones I haven't felt in some years, I feel grateful. I would've expected better of you guys. Your reasons for switching from WW to MF could have been written by me last summer. I had lost on WW, but the gained back exactly half of it, all the while attending meetings faithfully and sort of following the program. When my daughter decided to try MF last January, I was supportive of her but skeptical of the meal replacements. She did really well, so I decided I would give it a try. I decided to commit to 2 months and see where I was. Well, 6 months later, I am still here and down 50 lbs. It isn't easy, but it certainly is simple. I am a longtime and, fortunately, a successful -- so far -- WW member , and I read you for inspiration and recipes. I wish you nothing but the best with this and hope you will update us in your "journey. Meanwhile, keep on cookin' with Medifast. I'm glad you found a plan that works for you at this time. Thank you for your honesty and courage to write about your switch. Keep up your success. Looks like you don't have too much farther to go! My story is that 11 years ago I lost 40 pounds in about two months. It was too much too fast, but I was "ready", as you say, to just get rid of the weight. I dieted and exercised the heck out of every day--eating very little. After losing the weight I felt better and ate normal, healthy meals. Over the last five years I have gained about 15 pounds. Reaching 40 was like a stopwatch to my metabolism. In November I picked up running to spend more time with fit family and friends. I am doing the "Run Double C25K"--an app to help you run a 5k in 9 weeks. Since I have never ran a step in my life, this is a challenge, but I want to be healthier, fit, and to spend time with other healthy people to stay on track. I haven't lost one pound and use that as motivation to keep moving. Surely all those skinny runners looked just like me when they started! Alanna you look great and each of us will succeed using different methods, sometimes even the same methods at different times. Can't wait to hear more about your successes. Thanks for your honesty and for revealing that different things work for different people at different times of life. A friend at work lost a lot of weight using Medifast and it's transformed her life--she even just went platinum blonde and is still slender after transitioning to mainly real food again--in her early 60s. I lost a little over 30 pounds counting calories in my early 40s when I developed hypertension and around 10 of them slipped back on with perimenopause I've figured out I need more protein now and less carbs. Hard realization for a carb lover, but my body is talking! Thanks for the inspiration! And you size up the program exactly right, "It isn't easy, but it certainly is simple. I didn't realize you were a successful WW!! You've really got me thinking on that one This column inspired me to take a chance on a new program. I've been considering going back to WW "again", to loose the 20 pounds which crept back over the last 6 months. But I'm a very picky eater, a great cook, and to top it off, help my neice operate her scratch bakery. Not a good weight loss combination. Since I am certain you are particular about food with a discerning palate would you be willing to share your favorite medifast "meals". It's a short list. At first, I could tolerate the chicken noodle soup but I've got three boxes on hand and am having to force myself to eat one a day just to get rid of it. I like the spice pancakes and the chocolate pudding but don't order them because I really don't want to get used to sweet and carb-y things, which I didn't eat before and certainly don't want to get started on. I hated the eggs. I hated the sloppy joes. I hated the vegetable soup. I liked so few things, I sent everything except shakes and bars back Medifast has a good return policy and stopped trying any others. I'm not bored with the shakes, they're filling, they help me drink more liquid, I like them hot and cold. I know that the Medifast forum is full of people who take the food and turn them into something else eg some today who doesn't like the chocolate shakes says that they make good brownies but I do not want to pretend this is "cooking" or "real food". So I ignore those possibilities. For the record, I am NOT a picky eater with real food. While there are a few things I don't care for sweetbreads and Wonder bread or prefer cooked one way more than another boiled kale vs sauteed kale , it is rare for me to not like something. The one thing I'd say is, do everything you can t take charge now at 20 pounds. Don't let it turn into 30 or 40 or worse. I wish I'd followed my own advice. Thank you for the article. I at a point where I really need to loose the weight-again-and keep it off this time. My health is affected by the extra weight. I know of other people who have chosen meal replacement programs with great success. My question to you which I can't find in the article is why this program and not Jenny Craig or Nutrisystem? I was younger than 40 at the time and thought "not me!! To be honest, I was in my late 40s when I began to notice this. It wasn't just weight creeping up, it was that I didn't feel well eating like I did when I was younger. At about the same time I read about a group of people who maintained their health and had minimal weight gain throughout their lifetimes. It didn't prompt me to eat the way they did, but it did inspire me to find out how people in other countries and cultures ate. There were a lot of similarities and some differences -- mostly in exactly what they ate. I also started thinking back to when I was growing up in the s and s -- when it was rare to see someone who was truly overweight. I was also in contact with older adults, many of whom weren't significantly overweight and had few health problems. I either observed or asked them about their eating habits. I started noticing some similarities. The slim, healthy people in other countries and the slim, relatively healthy older adults I saw had some things in common. Most never ate processed foods. If they did, they were consumed rarely. And contrary to the advice now to snack throughout the day, most never snacked. If they did snack it was only once a day. Among the older adults, those who were slim ate less than they had when they were younger. Not little enough to be malnourished, but definitely less than when they were in their prime. I eat three meals daily and rarely snack. About the only time I snack is if a meal is going to be significantly late. I do eat less at meals. Two of my meals, usually breakfast and lunch, tend to be smaller and one is larger. I don't feel deprived because I'm satisfied with how much and what I eat. There's nothing I don't eat, but many things that I don't eat often. If I really want something, I have it. I also have a general plan of what to eat at meals. I'm also a fan of Michael Pollan's mantra: I've found that I don't need to eat as much real food to be satisfied. Another thing I learned is that it's perfectly normal, in fact, somewhat necessary, for a woman to gain pounds from the time she's about 20 until her mids. It has to do with reproduction. This has been observed throughout the world and throughout history. It's even observed in art where maidens are slim and matrons are, well, more matronly. Part of the reason it may be hard for those of us "of a certain age" to lose weight is that we're not supposed to weigh the same as when we were younger. Alanna, I wish you the best of luck on Medi-Fast! A couple of years ago my friend lost 40 pounds on the program, at the same time I was losing 20 lbs on Jenny Craig. Two years later, she's gained 35 lbs back, and I've gained Since I've gone vegan 9 months ago none of those "packaged" plans will work for me, they all rely on animal protein of some sort. However, if you "use" Medifast as a jumping point and maintain from there, awesome! I just couldn't do it, call me a packaged diet failure. Alanna, you look wonderful! I really enjoyed your story. I'ts similar to mine. I lost 80lbs and my husband lost lbs on WW about 12 years ago. I am a lifetime member and even worked for WW as a meeting leader for a year quit because a new job forced me to travel a lot. However, like many of us, I've gained the weight back. I wanted to do Medifast for a while, but I was worried that it really didn't teach about how to cook or eat. It, like many other weight loss programs, just gives you the food to eat to lose weight. I liked learning what a portion is i. However, my sister-in-law pointed out something to me. She said, "You worked for WW, you know how much to eat, how to cook, and what you should do. You're just having a hard time doing it. If you're goal is to lose weight and feel better, Medifast can help you do that. Then implement what you know you should do to keep it off. I just was having a hard time doing the WW plan; too "open" for me right now. So, on to Medifast. I've lost 38lbs in 3 months and I haven't had one issue following the plan.